The StarTech 4-Bay SATA -to- Thunderbolt2 S354SMTB2R Case for 4x SATA HD, RAID-0/1/10 4TB is good enclosure. This StarTech 4-Bay SATA -to- Thunderbolt2 S354SMTB2R is backed with StarTech’s 2yr limited warranty. Out of the box this NAS can handle 4 x 3.5" hard drives / SSDs, giving it a maximum capacity of 64TB via 16TB drives. Combining StarTech 4-Bay SATA -to- Thunderbolt2 S354SMTB2R and 4 WD hard disks will provide you with a solid, long term Storage solution. Thunderbolt – Reaching Transfer speeds of upto 10GBp/s via Thunderbolt 1 and incredible 20GBp/s VIA Thunderbolt 2, this provides you with the facility to edit large files such as 4K and high density photo located on your StarTech Digital Storage enclosure on the fly and in real-time on your Apple Mac or Windows Machine. You can have JBOD,RAID 0,RAID 1,RAID 5,RAID 6,RAID 10 set up on StarTech 4-Bay SATA -to- Thunderbolt2 S354SMTB2R. 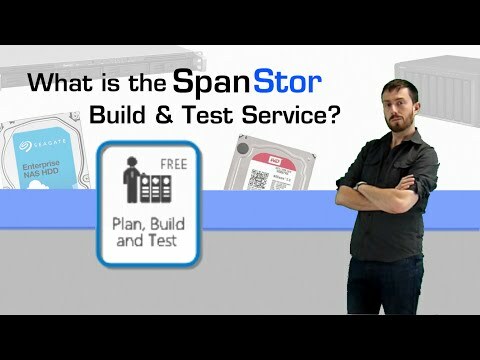 We offer our completely free and highly recommended SpanStor build service for your StarTech 4-bay enclosure. We ensure that your StarTech box and WD drives are in perfect working order before we send it out, at no additional cost. Depending on the nature and complexity of the setup you request, this can take from a few minutes to a few hours, all done here at SPAN, thereby saving you time and money. Possible RAID options for your StarTech 4-bay box are explained below. If you buy this StarTech 4-Bay SATA -to- Thunderbolt2 and hard drives we do free build and test for the unit and hard drives. So you can use this device straight out of the box. All free of charge in S354SMTB2R price.